Dr senneff skews the USDA data about glyphosate on wheat . She claims it is ” comman pratice” to spray it just before harvest. The data shows only 17% of wheat ground is sprayed, not the wheat itself! Many of her other sources don’t add up either. She lies with facts. She invents nice looking chart that only show her misinformation, not the facts. I have grown wheat for 40 years, she has no idea what farming is like. I have read a lot of comments on other blogs belittle and set arguments against the information Dr. Seneff presents. They want to present glyphosate as less harmful than other choices. What the heck has happened to common sense? GMOs are banned in European countries that tested them for 6 months as opposed to our FDA’s 3 months of testing, claiming they are safe. What kind of derogatory remark have they for the scientists of other nations? Pardon my sarcasm, but I wonder why the honey bee population keeps declining? I know! Let’s develop genetically modified food crops with double the natural plant pesticide and get the bees (AKA INSECTS) to take that nectar back to their hives! DAs! Do we, or do we not need good bacteria in our guts to produce some vital amino acids? Is it true, or is it not true that these same bacteria use the same shikimate pathway that plants use and are as devastated with the systemic death glyphosate (RoundUp) causes? Does that, or does that not cause intestinal issues? If so, is humanity faced with multiple issues as a result… Autism, leaky gut, gluten intolerance, obesity? It’s about as good a common sense inference as some of these other scientific “theories” that are put out there and respected. And finally, who was going brain dead at the FDA and letting Monsanto aggressively use the entire population of the United States be guinea pigs so a few billion bucks could be made? BTW, the GMO cotton gathered is also tainted with RoundUp, and found in feminine products – ain’t that grand? It’s not that we don’t already have enough carcinogens to contend with for this female area. Initially, I was genuinely impressed that R&D scientists could figure out how to modify genes, until I learned how screwed up the goals were. $$$,$$$,$$$,$$$ Yes, they create and sell the GMO seed, and then promote and sell the increased use of the RoundUp they make, that “safe” herbicide. It’s safe in the cracks of my driveway, but not in or on my family. So what do you nutcase think about this? See how correlation shouldn’t be considered causation without further proof. You’re right. I would like to see the proof that continuous glyphosate exposure does NOT cause profound changes to the human gut microbiome. But the science has not been done, which is a failure of due diligence on the part of Monsanto, who did enough science to get their product through the regulatory hoops, and not more. 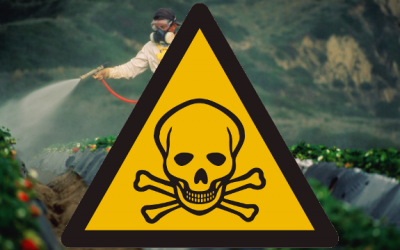 I recently interviewed Dr. Seneff for Age of Autism, and she was quite clear that Monsanto’s Roundup AND aluminum-containing vaccines are behind the autism disaster, now an epidemic among our children that no health official can explain. When someone from MIT says this, shouldn’t we pay attention? What better credentials could someone have? try to convince us that a one in 68 autism rate is merely “better diagnosing” of a disorder that’s always been around and that autism is caused by bad genes. Small amounts of aluminum have been used in some vaccines since the 1920s. So why the autism rate increase now? Answer: probably caused by something else. Nobody really knows. A much greater concern, if you want to worry about aluminum, is exposure from excessive use of antacids and, perhaps, anti-antiperspirants. Health Canada limits aluminum in the vaccines that do contain it to 1.25 mg/dose. Soy-based formula will deliver almost 100x as much aluminum in the first 6 months of an infant’s life. Finally, since the article also mentions mercury in vaccines, it seems necessary to deal with that falsehood once again. What small amounts of ethyl mercury there were in some vaccines was eliminated in the early 2000s (aside from multi-dose flu and hep vaccines, neither of which most children are given), and yet autism rates continue to go up. Please. Give up on mercury. It’s an old story and it’s not true. We need to look elsewhere for the causes of autism. Herbicides? Yeah, could be. Probably environmental, but the cause just simply isn’t known. Yet. Those that can,…. do, and those that can’t,…. criticize. It seems like Dr. Seneff is a do-er, and I for one am happy she is around. Please include chronic, low levels of carbon monoxide that are particularly toxic to fetuses and young children. It is present in many homes that rarely set off the CO alarm because the alarms are set too high for health in order to save tax dollars spent by fire departments that respond to CO alarms. Some studies have been done that show the relationship between this exposure and autism, ADHD, MS, heart disease, and dementia. I believe this is not more widely known because the oil and gas industries are so lucrative and important to our society at present. My heart arrhythmia, high BP, stomach upset, seizures, and mental fog have cleared up since we found out about a CO buildup in our home. We replaced the furnace, water heater, and gas stove with an electric stove. Gas appliance should be closed systems that vent to the outside. More expensive. I agree. All propane wall heaters, (for one), should be vented to the outside. Non of this in house gas, that some consider safe. This is a great outline. Now answer the question WHY? All these chemicals were designed by Nazi paperclip scientist funded by David Rockefeller. The purpose is to cause harm. Brain injury, Cancer, sterilization then death. This is the protocols of the NWO. We are controlled by sick individuals with no empathy. They will not get their NWO, the population is awake and very angry, expect Nuremburg 2.0 trials. These are just simply summaries of what I could find from reputable sources about these two elements. Anyone else can find the same information with some looking. An infant will receive almost 100x the aluminum in the first 6 months of life from soy-based formula as it will receive from a single dose of vaccine. Antacids deliver large doses of aluminum. Many vaccines given to infants don’t even have aluminum in them. No mercury either. Why are we still going on about these now? There certainly could be environmental causes for autism, but so far as I know, there are very few answers. According to the FDA & AAP Aluminum can build up in the brain and bones & is toxic to the body and it’s organs. They also state that Aluminum can cause neurological harm. Per FDA, the maximum level of Al. allowed for 8 lb. healthy baby is approx 11-18 mcg. So how much Aluminum is in the vaccines routinely given to babies and children? These amounts of Al. are not even safe for a 350 lb. adult, let alone a child who weighs less than 25 lbs. The neurotoxicity is made far more dangerous when mixed with another neurotoxin, thimerosal (mercury), which is STILL in many vaccines. Thanks for posting some actual numbers because at least numbers can be discussed. So let’s see what the numbers say. First, just so everyone is on the same page and for those who aren’t all that familiar with the metric system…. There are about 29 grams in one ounce. A milligram is 1/1000 of a gram ( 1 mg = 0.001 g). A microgram is 1/1000000 (one millionth) of a gram. It’s usually abbreviated as ug but some people use mcg. One ug = 0.0000001 g.
 soy-based formula (0.46 to 0.93 mg/l or 460 to 930 ug/litre) and so on. If you give your baby a buffered aspirin, you will be giving them 10-20 mg of aluminum per tablet. That’s 10000 to 20000 ug per tablet. Antacids, which you probably would not be giving to a baby, contain even more: 100 to 200 mg/tablet. The numbers you quote for aluminum in vaccines are correct and seem to vary from about 0.17 mg/dose to 0.85 mg/dose. That’s 170 ug to 850 ug/dose. As you put it, 170 mcg to 850 mcg per dose. To put some numbers together – one dose of a vaccine, let’s say 400 ug, to take an average, compared to 225 ug for every litre of infant formula (not soy-based because so many people are concerned about GMO soy) which an infant will drink probably every day or so. You can see that very quickly, a baby’s infant formula will give him/her much more aluminum than a vaccine. People are generally more worried about newborns. According to one source, in the first 6 months, a baby will receive about 4 mg of aluminum from vaccines, about 10 mg from breast milk, about 40 mg from infant formula and over 120 mg from soy-based formula. According to your post’s questionable logic, all of us would be receiving massive overdoses of aluminum from everything we eat and drink. It’s a wonder we haven’t turned into aluminum pots by now. Fortunately, your FDA reference isn’t correct, for the following reason. The 11-18 ug of aluminum is referring to people receiving Total Patient Nutrition (TPN) which means they are being “fed” completely by an intravenous fluid. Multiple litres of fluid every day for weeks, months or years. The concern is about dissolved aluminum here. The FDA guidelines have nothing to do with vaccines. In vaccines, the aluminum is in the form of an insoluble solid and is not injected into the blood stream but into muscular or other subcutaneous tissue. Any aluminum salt that does not dissolve is excreted the same way as other solids are. There is much experience with aluminum in vaccines. Hundreds of millions of doses containing aluminum have been given since the 1920s when their use as adjuvants was developed. Not as much is known about aluminum build-up in people receiving TPN because the numbers of people involved are very small. But we’re talking about two VERY different things here. This is why the amounts of aluminum in vaccines and breast milk and formula ARE safe for babies as well as that 350 lb adult you mention. Also, please stop saying that mercury is “STILL in many vaccines”. It isn’t, and hasn’t for many years, nearly 2 decades. In Canada, the ONLY vaccines still containing thimerosal (ethyl mercury) is the HepB and multi-dose flu vaccines. Single-dose flu vaccines without thimerosal are available for children. And, despite removing thimerosal from vaccines, the autism rate has not changed. That, and the hundreds of studies done on the subject, show clearly that there is NO link between mercury and autism. Not much to say, other than this: The author can “be certain” of whatever she likes but until the evidence is in from more studies, as it certainly will be eventually, it’s nothing more than a belief. Also, the amount of aluminum in certain vaccines is very small, especially compared to what is in many other things in baby’s environment and food. IF aluminum is responsible for anything (and note that so far, no link has been found) it’s rather irresponsible to lash out at vaccines. Your baby will be getting more aluminum from breast milk and infant formula. As well, the aluminum in vaccines is in the form of an insoluble solid. 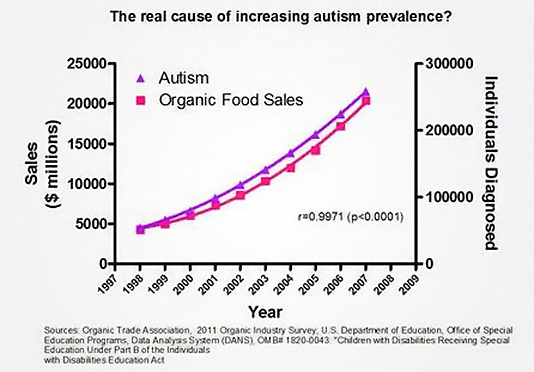 It’s one thing to point to a correlation between pesticide use and autism, but remember that one could just as easily point to an increase in the use of organic food and the rise of autism at the same time. Correlation does not prove causality. Any reasonably knowledgeable person recognizes there is not a hint of truth in your comment. This place is definitely ‘magic unicorn’ land.